NATO is trying to reaffirm its importance in the eyes of Europeans, Russian military expert Viktor Litovkin told Sputnik Czech, commenting on a series of joint military drills held by the bloc's members on Russia's western borders. On Sunday a Czech mechanized battalion comprising 112 servicemen and 37 military-vehicles set off for Training Bridge 2017 joint military drills in Lithuania, according to the Seznam news portal. 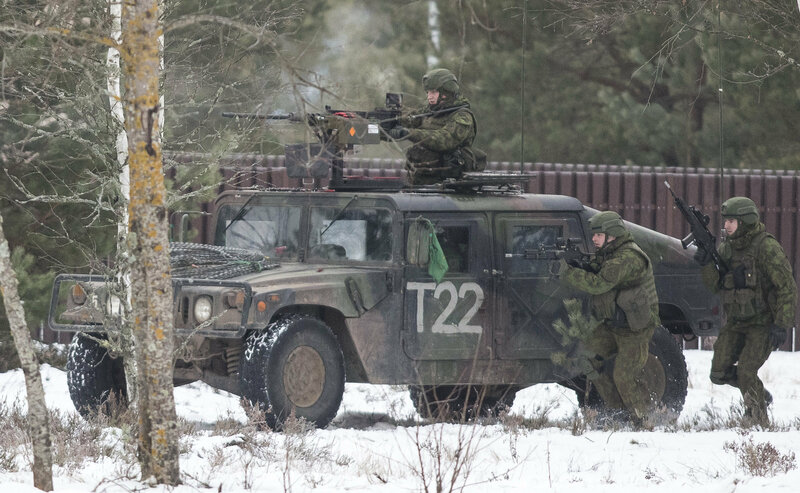 Lithuania's Ministry of National Defense reported Monday that "rotational troops of the Czech Armed Forces" was due to arrive in Lithuania, Sestokai, on January, 10. The drills will be carried out until March, 20. "Throughout the rotation time the Czech soldiers will be based at the Lithuanian Grand Duke Butigeidis Dragoon Battalion in Klaipeda and train alongside military personnel of the Lithuanian Grand Duke Kestutis Mechanised Infantry Battalion based in Taurage district. Lithuanian and Czech soldiers will train in a range of field training exercises and live firing events," the Ministry's official website reads. Within the framework of the Training Bridge 2017 the other Visegrad Group (V4) members, including Poland, Slovakia and Hungary, will also take part in the military exercise. 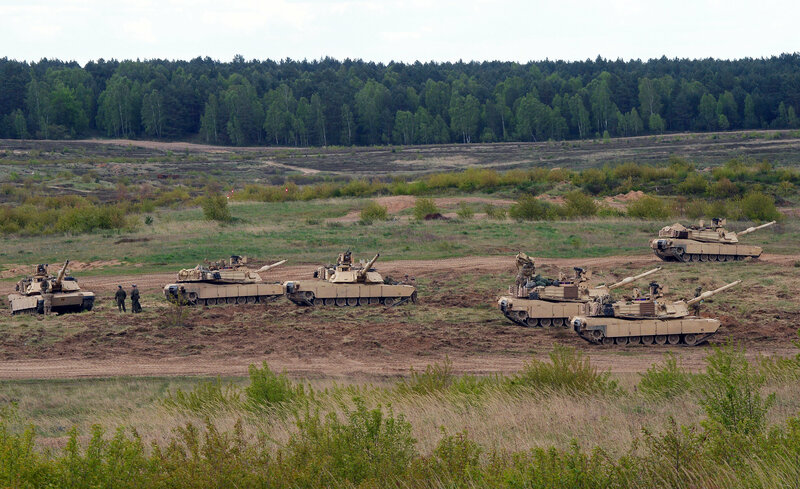 The drills, aimed at countering the so-called "Russian threat," will be conducted near the Lithuanian city of Klaipeda, which is located not far from Russia's border region of Kaliningrad. According to Litovkin, those who believe that Russia is harboring plans to invade the Baltic region are completely detached from reality. He called attention to the fact that Lithuania, Latvia and Estonia joined NATO back in 2004. "Let me repeat the words of [President Vladimir] Putin: the speculation about the threat posed by Russia to, for example, the Baltic states, is utter nonsense. Are we going to fight with NATO?" Litovkin asked rhetorically. The Russian military expert underscored that it is quite natural for the Czech Armed Forces to take part in joint military exercises with other regional NATO member states. It is no secret that during the Warsaw Summit 2016 the Alliance decided to reinforce its eastern flanks. Thus unsurprisingly, the V4 countries have kicked off military training together with their Baltic neighbors, he remarked. What is absolutely unnatural, according to Litovkin, is that the US has dispatched hundreds of heavy tanks, self-propelled howitzers and other military vehicles as well as 3,500 military personnel to Germany in order to deploy this military force in Poland. 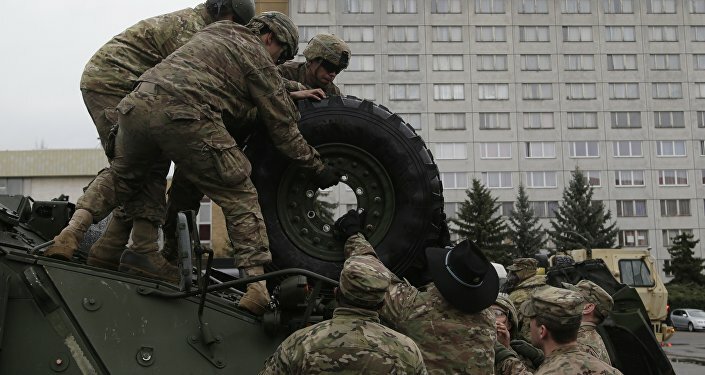 The Independent reported Monday that American troops have begun arriving in Poland under a planned NATO operation to demonstrate the bloc's commitment to its Eastern European allies "in the face of mounting Russian aggression." "The troops will be followed by around 2,800 tanks and other pieces of military equipment which are being transported by land from Germany," the media outlet emphasized. To add fuel to the fire, the Alliance is preparing to station up to 4,000 troops near Russian borders in an unprecedented military build-up since the end of the Cold War. "This is not creating a favorable climate for the resumption of cooperation between Russia and NATO," the Russian military expert stressed, adding, however, that it is absolutely necessary to resume cooperation within the framework of the NATO-Russia Council (NRC). At the same time the military expert expressed hope that following the inauguration of US President-elect Donald Trump the situation may significantly change. "Judging by the statements made by the NATO leadership and the Russian Defense Ministry, the thaw in relations [between Russia] and the West can really happen," Litovkin told Sputnik. The military expert denounced speculation that Russia is currently beefing up its military presence on its western borders. "We are not increasing our [Russian military] presence in the region; instead we are reorganizing our brigades into divisions without changing the number of personnel," he pointed out. "Yes, we have deployed our most advanced systems, such as, for example, S-400 anti-aircraft missile systems in the Kaliningrad region. They are able to control the airspace within a radius of 400 km. We also have deployed the anti-ship [coastal defense missile system] 'Bastion', which can fire at a distance of up to 600 kilometers," the military expert admitted. He added that the Russian mobile short-range ballistic missile system Iskander has also been deployed on a temporary basis in the region. Russia is seeking to protect its border regions and with good reason. Litovkin drew attention to the fact that the US' European missile defense shield could be equipped with Tomahawk long-range cruise missiles which could deliver their warheads to the distance of up to 2.5 thousand kilometers. "Russia won't sit on its hands, while [NATO] is amassing its military force on its border," the military expert emphasized. Still, Litovkin doesn't believe that the ongoing NATO escalation may result in a direct confrontation between the bloc and Russia. "Is there anyone who wants to turn the continent into radioactive ashes?" Litovkin asked rhetorically, "There are no such fools in Russia, or Europe, or the United States." Does NATO want to scare Russia and force it into making concessions by beefing up its military presence in Eastern Europe? "It is impossible to scare Russia or coerce it into submission," Litovkin stressed, "NATO is just trying to reaffirm its necessity for Europeans; however, many in Europe have already called it into doubt."